Born in England, Christopher Turner was determined to follow a career at sea from a very early age. After completing high school and passing the Admirality Interview board, he was offered a commission as an officer in the British royal Navy. Instead he choose to follow a career in the Merchant navy. He attended the Nautical Academy in Warsash in England and joined the British and Commonwealth Company in 1972. He followed in his fathers footsteps as he had been employed by the Union Castle Line. He sailed on passenger liners, general cargo ships, container vessels and bulk carriers until the Falklands war, where he served as a navigating officer on the base supply tanker, Scottish Eagle. Afterwards he worked in the north sea for two years, enabling him to spend more time at home with his wife and two young sons. At the age of 38 hew as promoted to captain on a refrigerated cargo ship. Six years later in 1997 Captain Turner joined Windstar Cruises. He served on its fourmasted sailing vessels in the Mediterranean, Caribbean, New Zealand, Costa Rica and the South Pacific Islands of Tahiti. 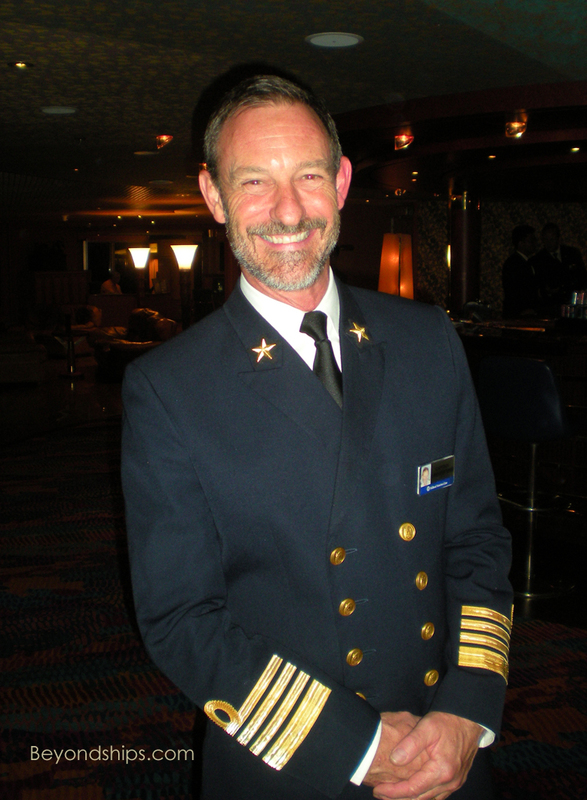 In 2006 he transferred to Holland America Line ad sailed as Staff Captain on the ms Veendam to get the feel of the company. Shortly after he was promoted to HAL captain on board the ms Prinsendam. He and his wife live in a small town near Bath in England. They have two frown sons and enjoy long walks together. He also enjoys scuba diving, sailing, gardening and sky diving. He retired from Holland America on 18 January 2019 in fort Lauderdale after leaving his final ship the ms Volendam.